State minister for tourism Godfrey Kiwanda unveiled the campaign at a news conference attended by a bevy of curvaceous women on February 6, 2019. 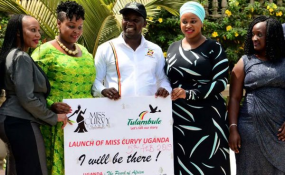 Female Ugandan activists have since last Thursday been slamming a government supported campaign to use "curvy women" to attract tourists to the east African nation. "These are private initiatives. Tourism is everybody's business. You are allowed to bring in your ideas and we give you support. There is no way we are parading women as tourism attraction. But then, it's very difficult to talk about a country's tourism without talking about its people," he said.